Rick Scott keeps calling Bill Nelson ‘confused.’ Is this a dog whistle that could bite back? Nelson perhaps knows better than most how those kinds of attacks can boomerang, a lesson from the only race he ever lost. What does Gov. 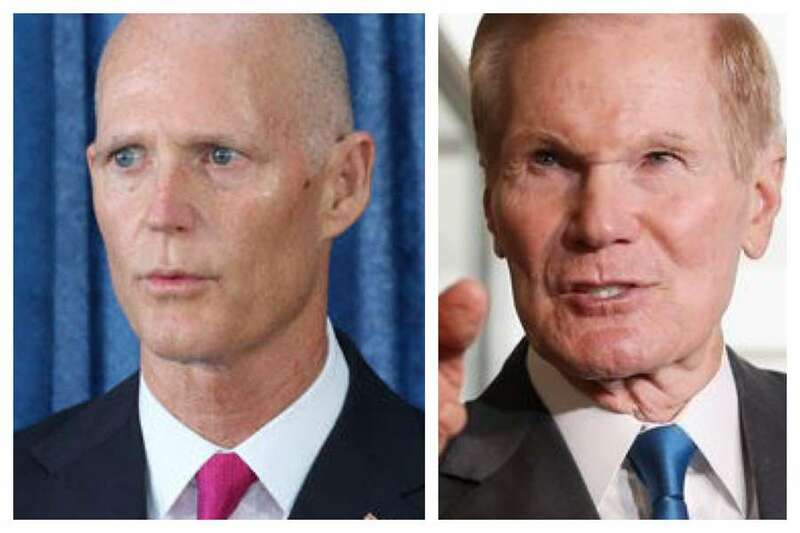 Rick Scott mean when he calls Sen. Bill Nelson "confused," as he did twice during Tuesday's U.S. Senate debate? To Democrats, Scott's intentions are clear. The repeated references to Nelson's state of mind are a flagrant and unseemly attempt to draw attention to the age of a 76-year-old senator who has never been accused of poor mental fitness. Scott's campaign said that's not the case at all. "It's that he has become such a party-line liberal, and like most career politicians, he talks a lot but doesn't get anything done," the Republican's spokeswoman Lauren Schenone said. Whether it is a dog whistle, or just a particularly cutting attack in a long line of brutish missives, Scott's campaign isn't backing away. Campaign manager Jackie Schutz Zeckman sent reporters a post-debate recap that asserted Nelson was "losing his mind" and "barely hanging on." "A rambling, incoherent, confused, disjointed performance," Schutz Zeckman said in the statement. It was a startling conclusion to draw from the debate, a straightforward, if not mundane clash between two seasoned politicians who went to great pains to avoid missteps by saying little, if anything, new. Nelson's campaign said Schutz Zeckman's remarks crossed a line. And on Wednesday, the left-aligned Alliance for Retired Americans called on Scott to "stop using ageist, inflammatory language to describe Senator Nelson immediately." Nelson turned 76 on Sept. 29, and has often dismissed questions about his age with a challenge to a pushup contest. There are 11 senators older than Nelson in a chamber where the median age is 63 — or two years younger than Scott. If elected, Scott would be 66 at his swearing-in, 19 years older than Florida's other senator, Marco Rubio. Republican strategist J.M. "Mac" Stipanovich said it's obvious Scott's campaign sees Nelson's age as a vulnerability to exploit — part of a plan to paint Nelson as too old and having spent too long in office. Nelson was first elected to the Florida House of Representatives in 1972. Stipanovich is less sure how it will play out in a state where 1 in 5 residents are retirement age. "Those are dog whistles. Who exactly they're designed to appeal to, since such a great percentage of the voters are Nelson's age, I don't know," Stipanovich said. "I don't know if that's a great strategy or not." Nelson perhaps knows better than most how these kinds of attacks can boomerang, a lesson from the only race he ever lost. Running for governor in 1990, Nelson, then a congressman, faced an uphill battle against legendary former Sen. Lawton Chiles in the Democratic primary. Nelson decided to go negative to cut the deficit. Chiles had retired two years earlier from the U.S. Senate because he was "burned out." Nelson wielded that comment into questions about Chiles' mental and physical health. Nelson, then 47, released his medical records, and demanded Chiles, 60, do the same. When Chiles did, Nelson wouldn't say if he thought Chiles was in shape to govern. "As to who is fit, that's for others to decide," Nelson told reporters. 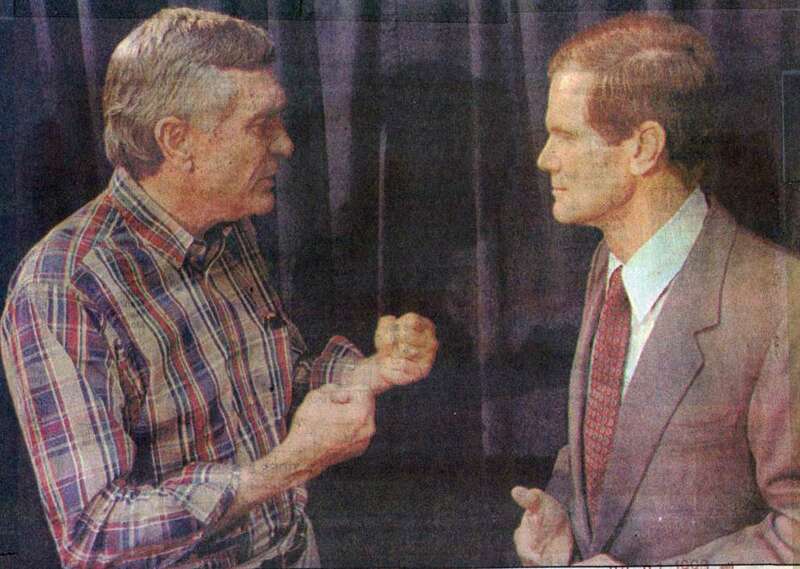 Gubernatorial candidate Lawton Chiles clenches his fists as he berates Democratic opponent Bill Nelson about smear tactics on July 21, 1990. When it came out that Chiles had resumed taking the antidepressant drug Prozac, Nelson's running mate, then-House Speaker Tom Gustafson, infamously told a Florida newspaper editorial board: "I don't want to have a suicide during (Chiles') term of office or during the election." Nelson denounced the comment, but he continued to refer to himself as a "new generation." "Seasons change. Times change," one Nelson ad said. "And the leaders of the past, no matter how great they were, give way to the promise of the future." The attacks didn't sit well with Democratic voters, polls showed. In one survey, 80 percent of Floridians didn't think Lawton's age was an issue and 3 in 4 said Chiles' Prozac use wouldn't affect how they voted. Meanwhile, 55 percent agreed that Nelson was attacking Chiles too much and news reports declared that the strategy "backfired." Chiles ultimately trounced Nelson, winning nearly 70 percent of the vote. Stipanovich had a front-row seat as the campaign manager for Republican Gov. Bob Martinez. Chiles, he said, demonstrated a quick wit that easily neutralized Nelson's jabs at his age and mental health. "Whether Bill is equally agile can be doubted," Stipanovich said. But he added: "It's not like Rick Scott is Beto O'Rourke where you think, 'Here's a spring chicken,' " referring to the Democrat running in Texas against Republican Sen. Ted Cruz. Nelson spokesman Dan McLaughlin said the 1990 campaign may have been a lesson in bad political strategy, but it was at least grounded in legitimate concerns about Chiles' health. "It is a big difference when someone says they're retired and burned out versus Rick Scott making up out of full cloth an innuendo and an assertion that Bill Nelson is losing his mind," McLaughlin said. "There is no comparison. It is a completely manufactured attack."